So 2017 is already looking up - more Alice, more of the time, in more of the UK with more gore, more fun and more I’m Eighteen, Billion Dollar Babies, Under My Wheels, School’s Out, Poison, No More Mr Nice Guy and the rest. We feel better already. Alice Cooper's first headline UK tour in 5 years comes with the anticipation of a big 2017 for Coop. The seeds have been sewn this year, with Alice having just ended his more than 90 show 2016 tour with a final night at the legendary Pantages Theatre in Hollywood - joined for a celebratory "School's Out" by rocker Butch Walker and fellow Hollywood Vampire Johnny Depp. Alice has also talked about his former fellow band members writing songs together for a new Alice Cooper album, being recorded with longtime producer Bob Ezrin this winter, due for 2017 release. And for the UK tour, Alice is bringing 2 bands with him to reflect two of his best sides - outrageous theatrical controversy and the darker, gothic rock that Alice influenced. 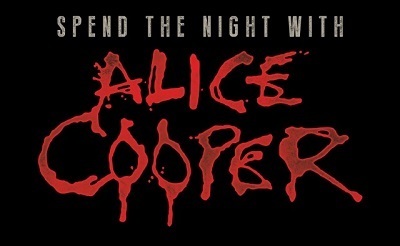 Alice is offering several VIP packages at www.alicecooper.com, including meet and greet and a backstage tour.